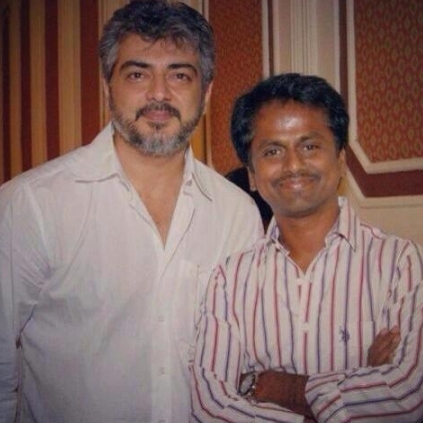 IS AR MURUGADOSS CONFIRMING HIS COLLABORATION WITH AJITH? It is a well-known fact that AR Murugadoss started his career through 2001 Ajith Kumar starrer Dheena. Since then, there is no looking back for this director who keeps churning out one hit after another. He is among the very few Kollywood directors to have a successful career in three languages - Tamil, Hindi and Telugu film industries. There has always been a speculation saying that Ajith would be teaming up with ARM once again. They were close enough to collaborate for Ghajini which was initially titled Mirattal but for some reason it did not materialize. ARM has always spoken high of Ajith, stating he would work with him anytime if he gives a nod. Has Ajith finally given a yes to ARM? The director has changed his Twitter header to Mirattal photo and that is enough to create a huge speculation wave. When we spoke to sources close to ARM, they said that talks are very much on but nothing is confirmed at this stage. ARM has apparently posted Ajith's photo only out of his love for the star and it does not confirm a collaboration. ARM will do a project with Ajith whenever he asks him to but right now he is completing Akira and he will soon move over to Mahesh Babu's film, state our sources. We will soon get back to you with more updates! Nivin Pauly’s film gets an exciting lady lead! Action block for Vishal at Spencers! Will Vijay team up with his yesteryear superhit directors again? People looking for online information on Ajith, AR Murugadoss will find this news story useful.